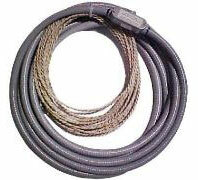 Loop wire has special impermeable insulation and is inserted into slots that have been cut in the asphalt, or concrete. The loops are sealed with loop sealant. Exit loops are used to open gates to allow a vehicle's exit. Safety loops are used to prevent a gate from closing on a vehicle. Two loops can be wired to one detector. This is frequently the case in safety loops. Loops are placed in front and behind the gate. Typically the loop is connected to a loop detector (pictured on right). 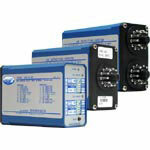 Some gate operators have built in sockets to accept loop detectors and some models require the detector to be wired in. 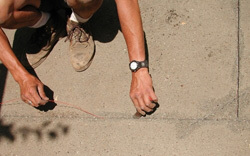 Preformed loops are placed below the surface prior to laying asphalt or pouring concrete. They are available in several sizes depending on driveway width. 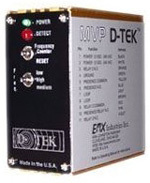 Self contained probe style detector (bottom left) can only be used as an exit device. They are buried a few inches below the surface beside the driveway. Loop Sealant should be used to seal cut in loops. Sealant comes in asphalt and concrete colors. 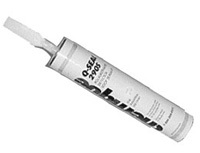 It is best to use a commercial grade sealant verses asphalt in a tube found in hardware stores.